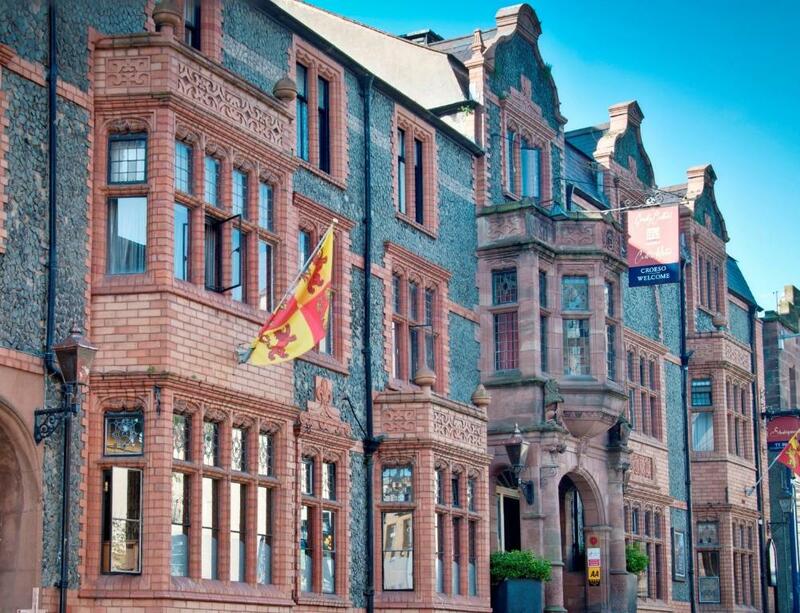 Lock in a great price for Castle Hotel – rated 9.1 by recent guests! Room was excellent, staff fantastic, hotel lovely Can’t fault it! And food out of this world!! What an authentic experience in Cowry. I arrived from Snowdon National Park with a slight injury. Eevie was so considerate and got me a room with a tub (and a show stopping view of the Castle). All the staff were lovely and the hotel is great value for money and in such a perfect location. I’d definitely go again! We have two small dogs and there was no additional fuss about having pets unlike other hotels. Location and attentive staff, plus the hands on Manager! Very welcoming, plush rooms, amazing bed, hot tub style bath, food in the restaurant was amazing. Holly the waitress in the restaurant is a credit to the team. Excellent location. Parking was provided and convenient. Wi-fi worked perfectly. Location was great. Great value for the money. The location of the hotel is excellent right in the centre of the walled town and close enough to the rail station and bus stops to satisfy my needs. The restaurant served good food for breakfast and dinner. A huge selection of wines available by the glass which is excellent for the single traveler. The beds were comfy, rooms were well-appointed and comfortable. Staff was courteous and helpful. The location was perfect for exploring Conwy. Great location. Very relaxed. Food in bar fantastic. Staff a joy. Great location. Friendly, helpful staff. Comfortable room. 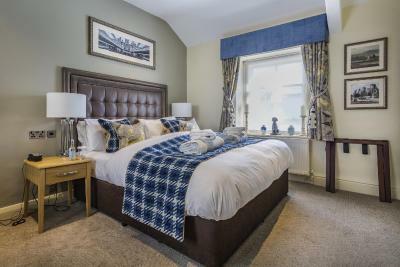 One of our top picks in Conwy.Set in a 300 year-old coaching inn, Castle Hotel is a mile from Conwy Marina. Offering free parking and free WiFi, the hotel has elegant bedrooms and offers a food options in its public areas. 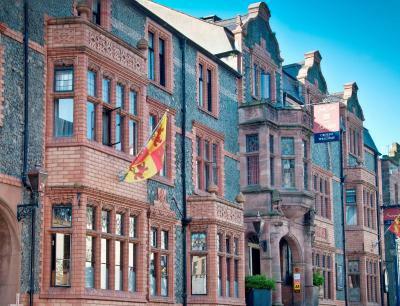 Rooms at the Castle Hotel have period features and a private bathroom with a hairdryer. Rooms also feature a TV, tea/coffee making facilities and a work desk, and some have views of Conwy Castle. Dawson’s bar offers a range of local ales and ciders, as well as a cocktail menu. Cooked breakfasts are served daily, with continental options also available. 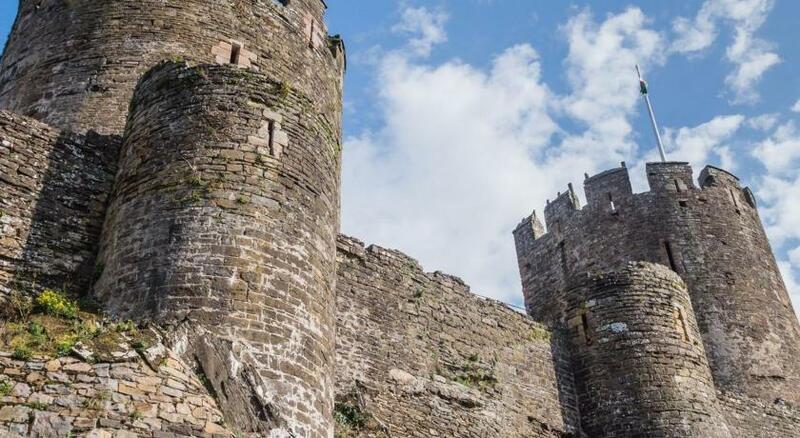 Standing on the site of an ancient abbey, Castle Hotel is just a few feet from the scenic River Conwy. Llandudno Golf Club is within a 10-minute drive, and Conwy Castle is just 1,000 feet away. 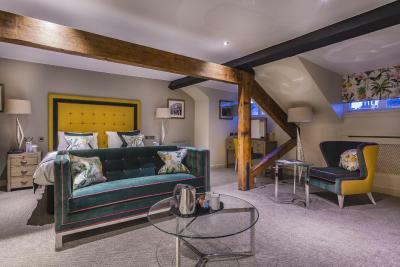 Luxury feature rooms with a sitting area, free Wi-Fi and fluffy bathrobes. Some have antique furniture, castle views or spa bathtubs. Guests wishing to add an extra bed must contact the property directly. Car Parking needs allocated spaces; residents need to have a bar area which is not taken up with diners. Smoked Salmon and scrambled egg were wonderful for breakfast but the poached haddock was a minute portion and the poached eggs were hard boiled. The location was very good, central to where we wanted to be. Staff were very friendly and helpful. Can’t actually think of anything. Large, very comfy bed. 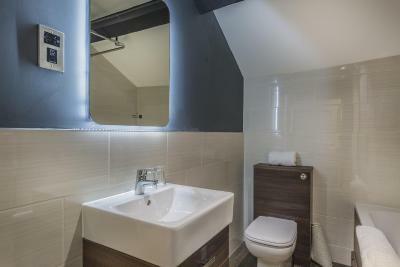 Just all the little extra touches, the chocolate in the room, the hand soap and toiletries, lovely feel to the whole place. Food was excellent and was helped in with luggage (Brian).Bar staff great at offering up ideas of what to have to drink and the very sweet smiling waitress in the restaurant. The staff make this hotel the success that it is. Another great stay at the Castle. Although described as a deluxe room, it was far from it. The hotel is undergoing renovation and they are starting from the top then working down. Unfortunately we were in an old room which didn’t deserve to be described as “deluxe”, nor warrant the £179 per night tariff. The room was very dark, insufficient lighting, dark net curtains at the windows, 4 individual roller blinds to the bay window, only 3 of which had a pull chord to to move it up or down, we had to stand on a chair to reach the 4th and pull down by hand, which then meant it was down for the duration. 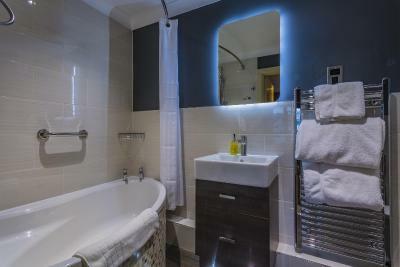 The deluxe rooms shown on the website and on booking.com are the upgraded ones, beautiful bright rooms with luxury bathrooms. To put it into perspective, a Travelodge has far superior quality bathrooms than the one in our room. Mould and mildew on the ceiling, only half the mirror lights working, paint peeling off woodwork, extractor fan not working, seal on shower screen missing so the floor was flooded, we had to use every towel to mop it up. I could go on, the photos speak for themselves! This was meant to be a celebration weekend for us, although we explored the local area and enjoyed our time away from the hotel, the disappointment of staying in such shabby surroundings has overshadowed our experience. We did complain to an assistant manager, who apologised and deducted £40 from our £460 bill! The Staff are wonderful. We ate Tapas in the bar on 1st night, it was very good and ate breakfast both morning. although prices for food and drink are very expensive. Can recommend Johnnys on the Bridge for an amazing Pizza and decent gin and beer selection. Also a wonderful off licence a few doors up from the hotel Vinomondo, you can drink in or take out, what a little gem!